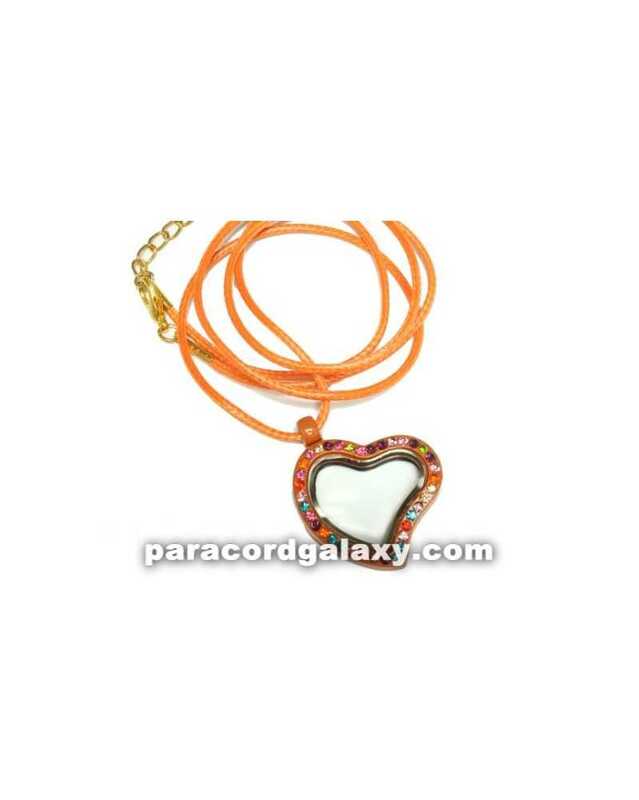 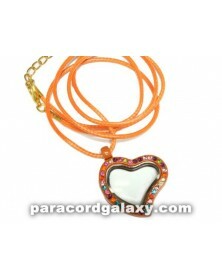 This floating heart locket necklace has various colored stones on the front. 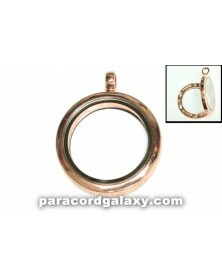 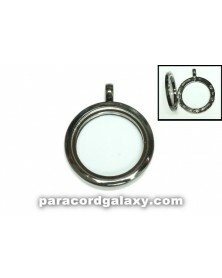 The locket measures 29x33mm. 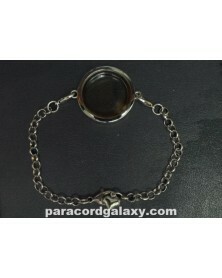 It is made of zinc alloy and glass. 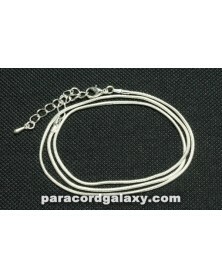 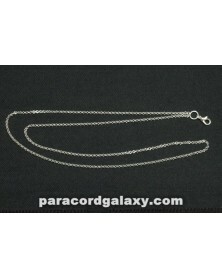 Attached is a 66 cm (26 in) leather cord with lobster clasp and extender chain. 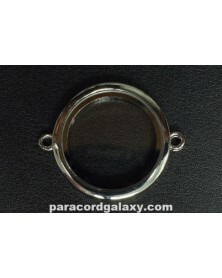 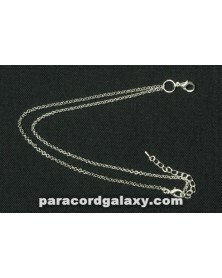 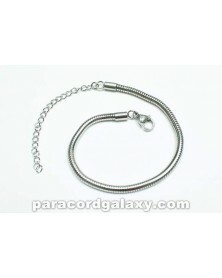 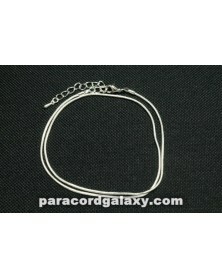 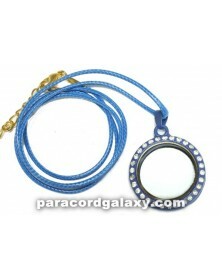 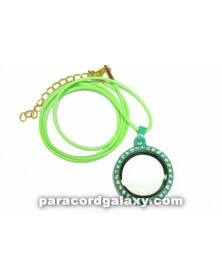 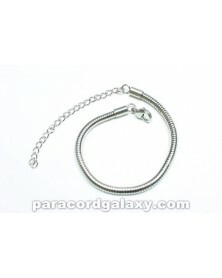 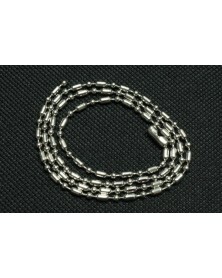 The locket could also be used with 275 paracord or smaller. 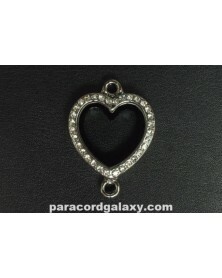 Magnetic closure on locket.